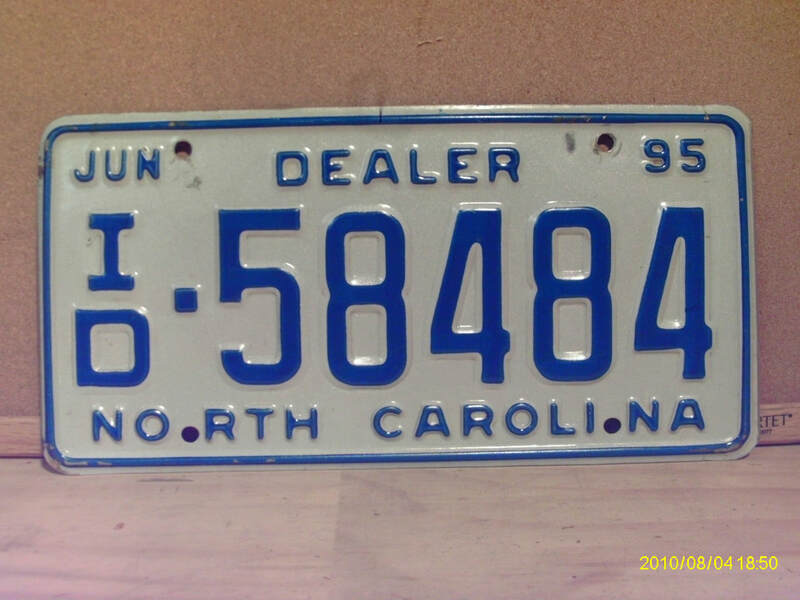 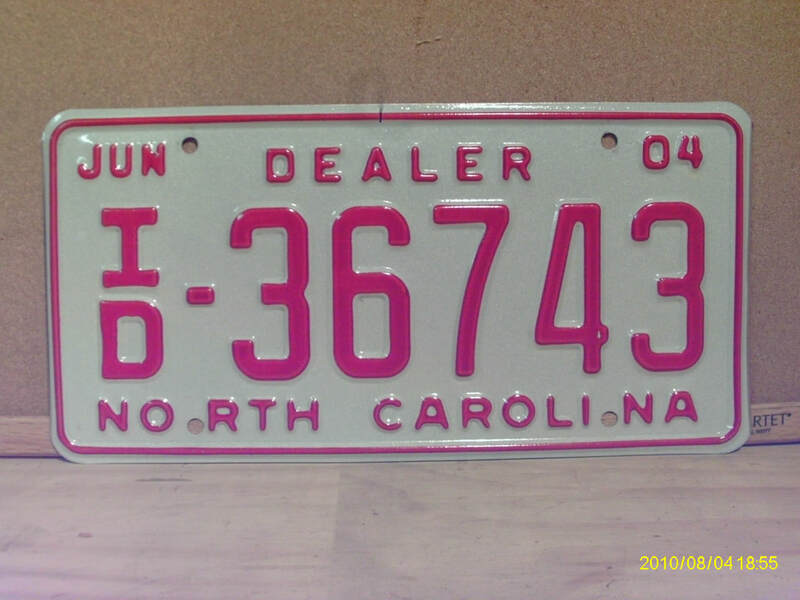 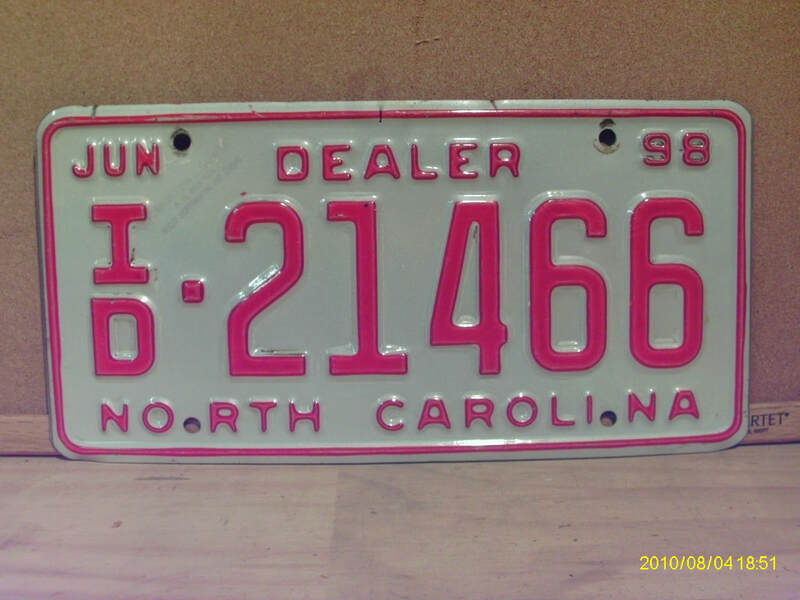 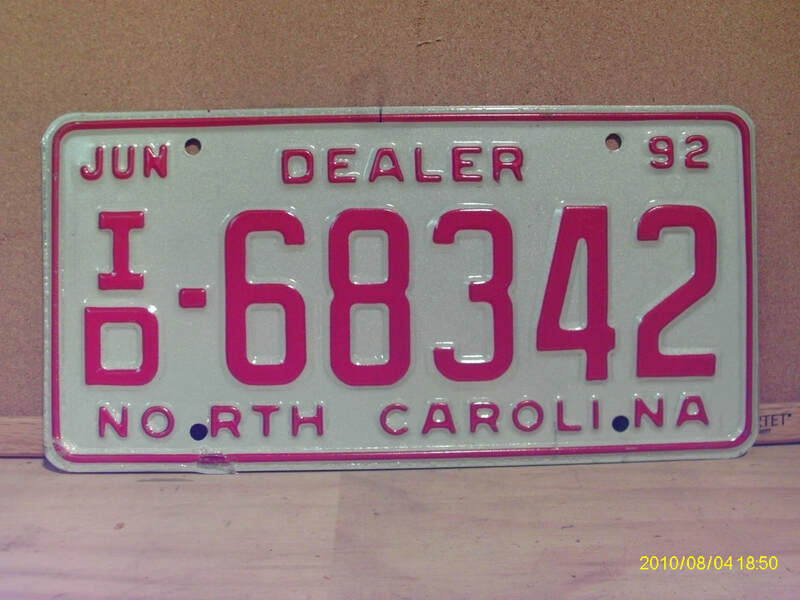 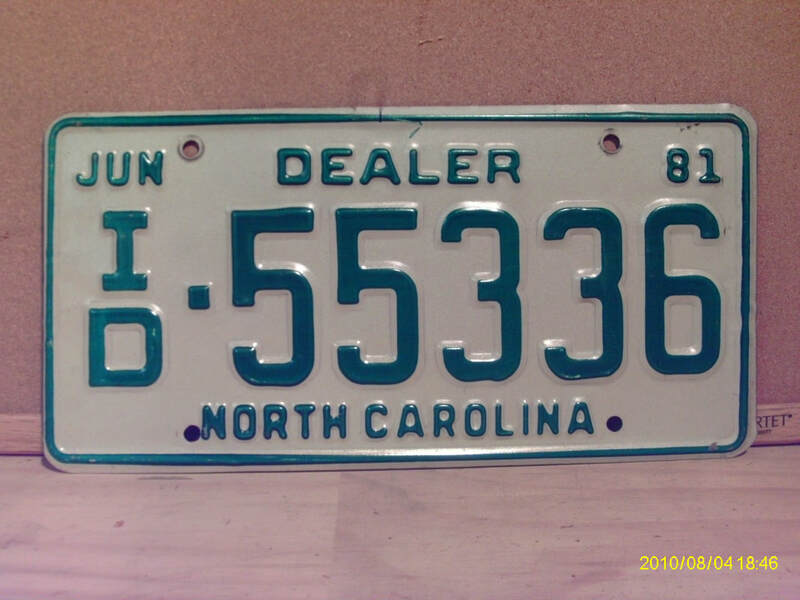 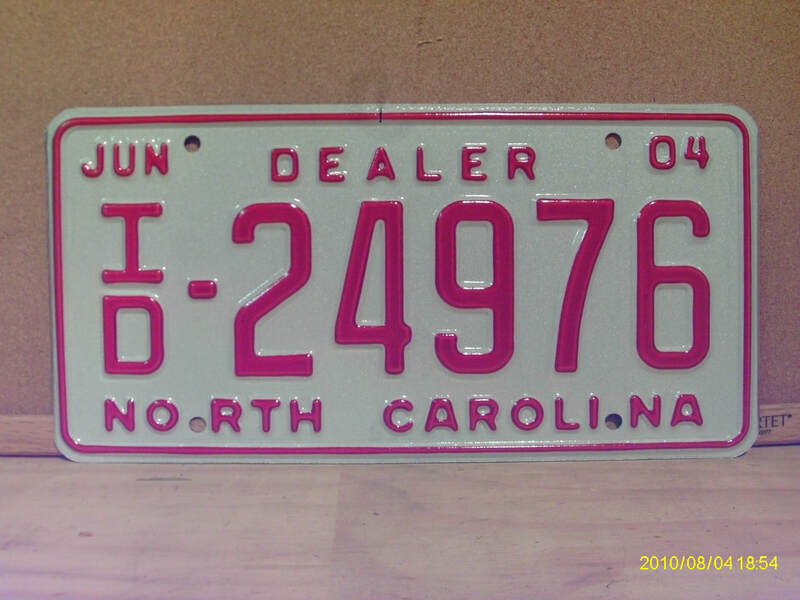 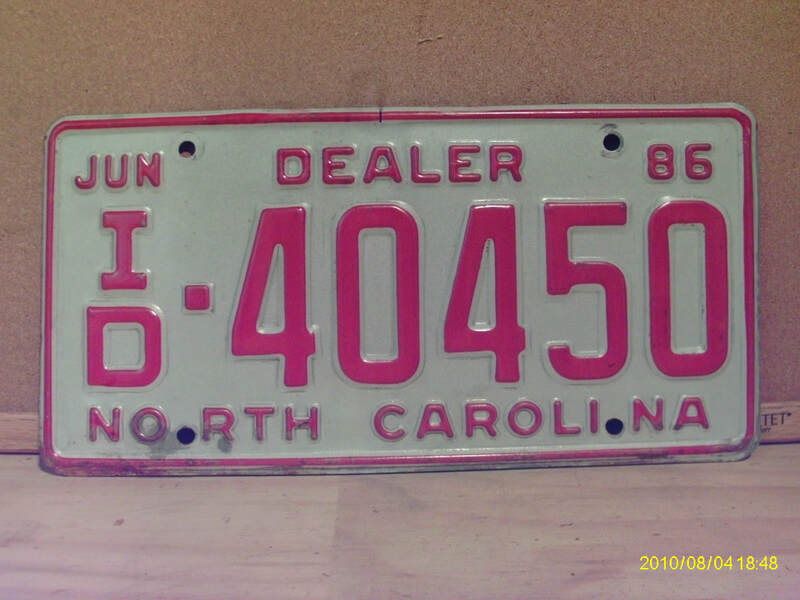 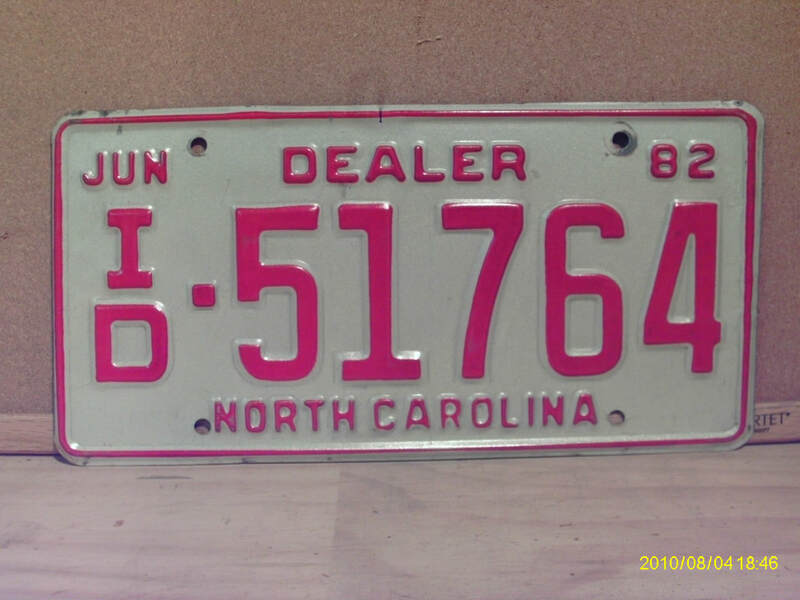 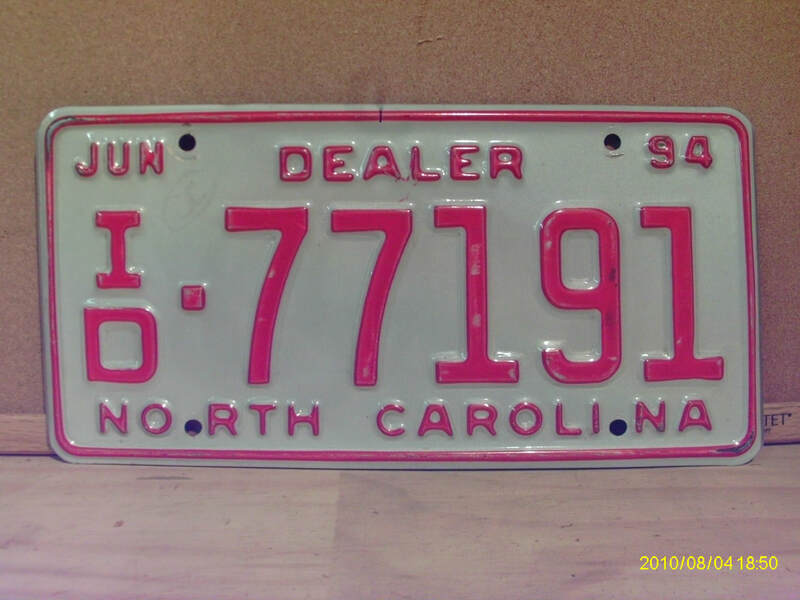 Type: Embossed steel 6" x 12"
"DEALER" on top center of plate. 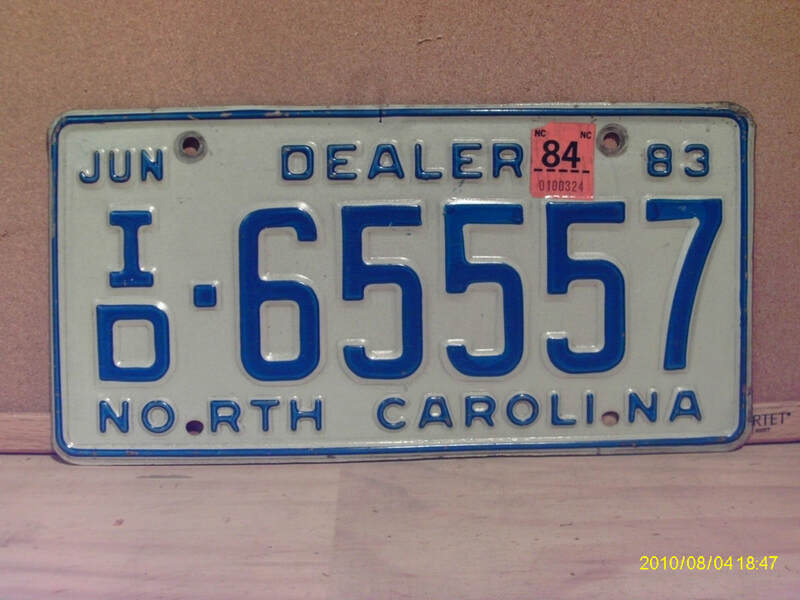 Type: Embossed aluminum 6" x 12"
Validation Sticker- Black on Orange applied to 1983 and undated base plates to right of 'DEALER'. 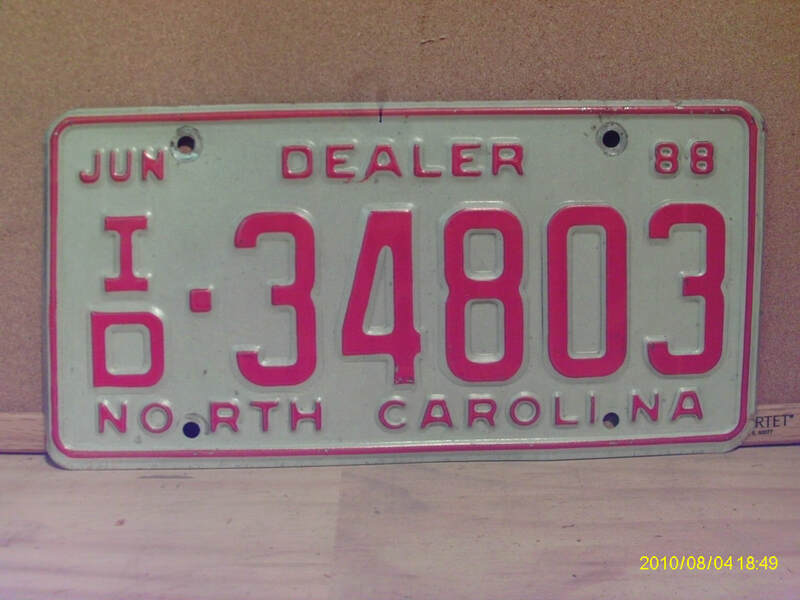 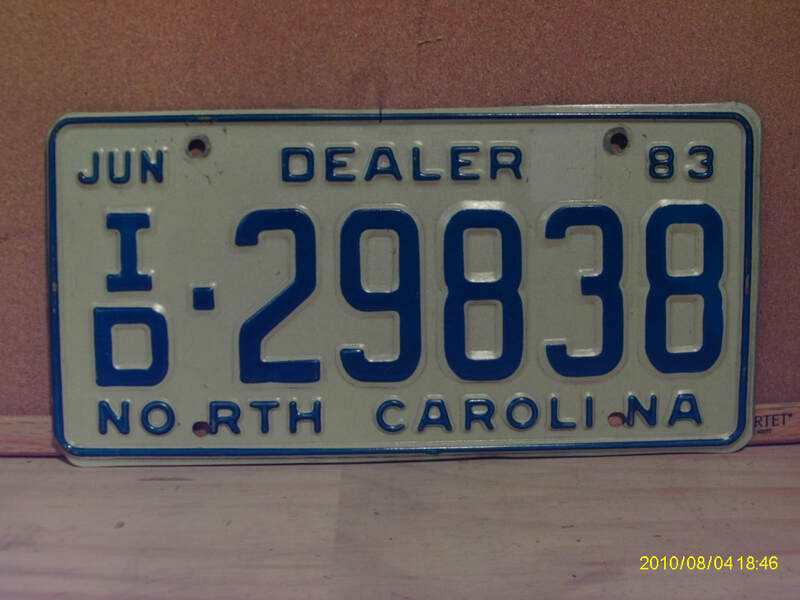 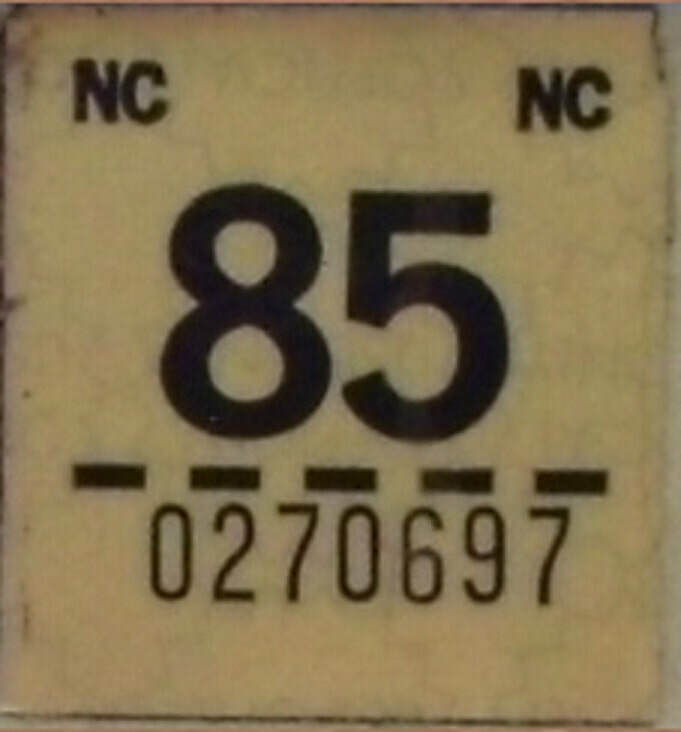 ​Validation Sticker- Black on yellow applied to 1983 and undated base plates to right of 'DEALER'. 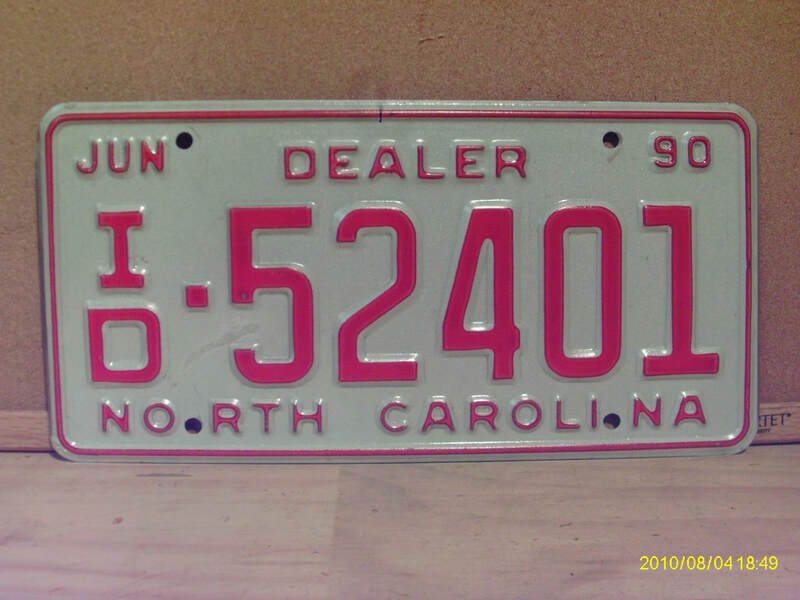 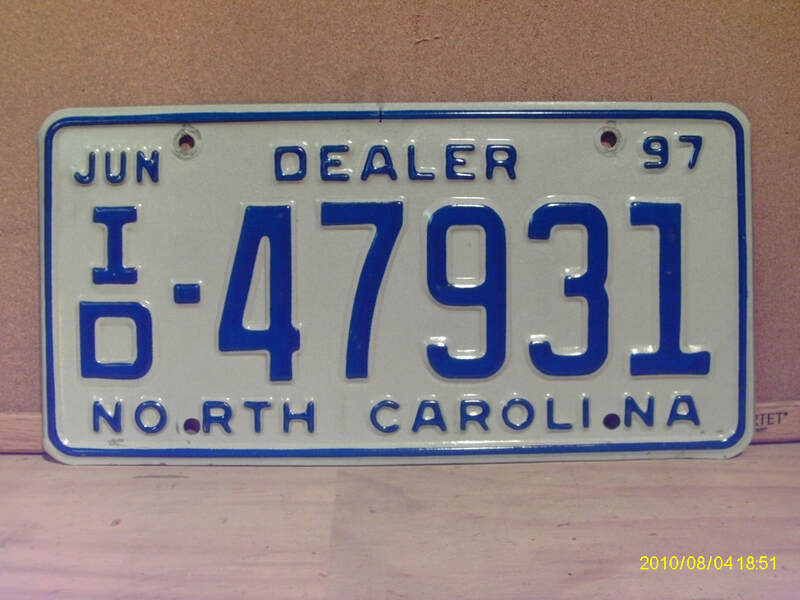 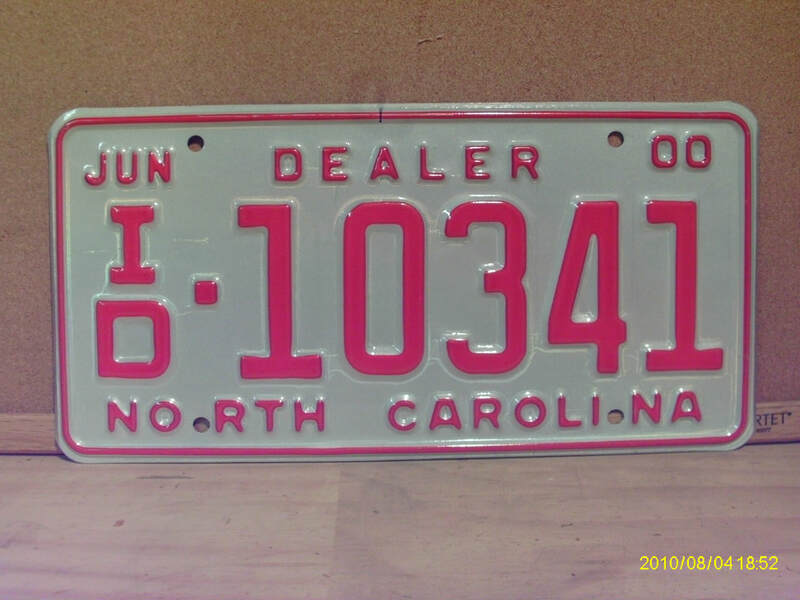 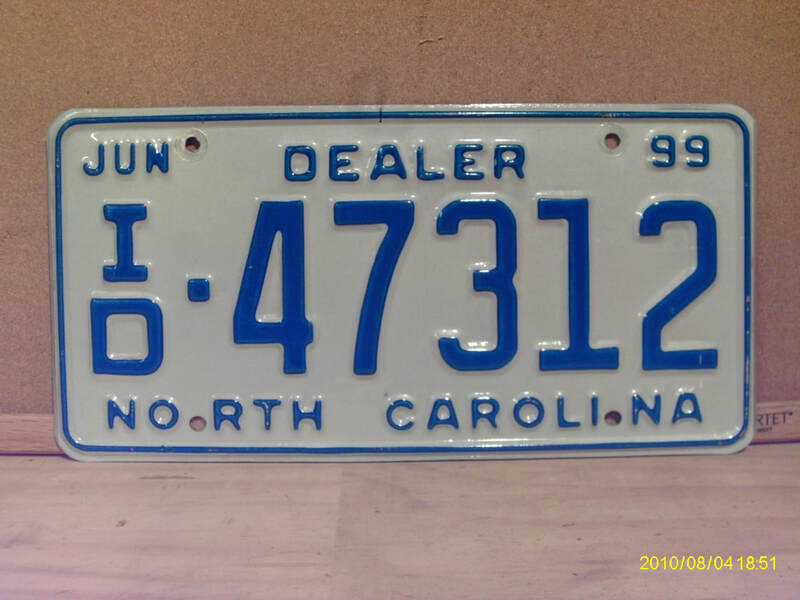 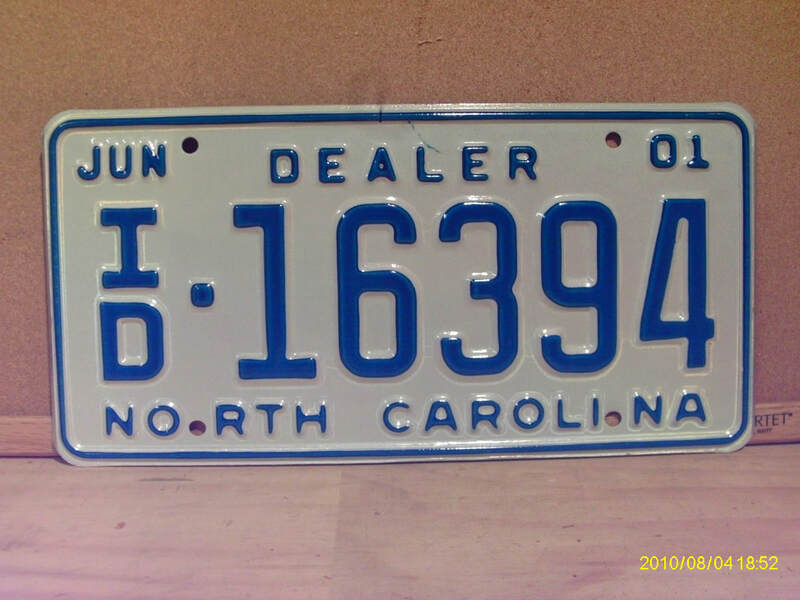 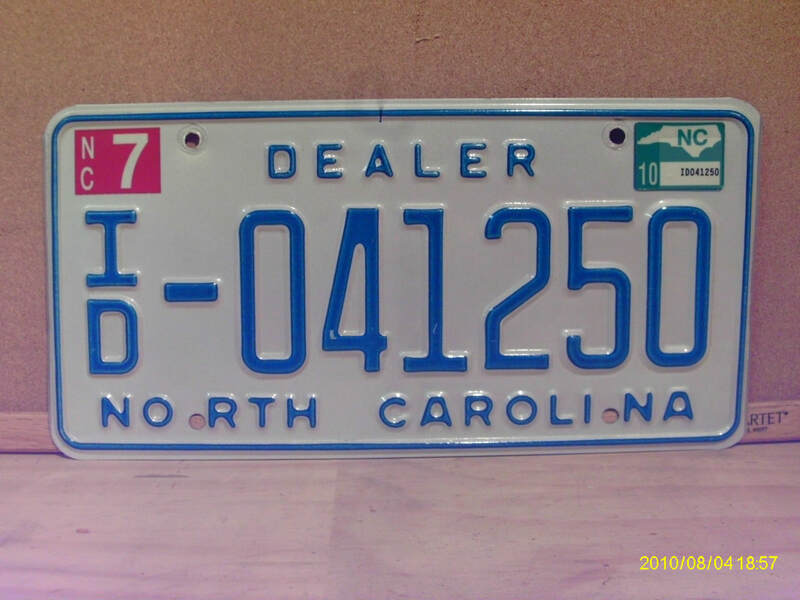 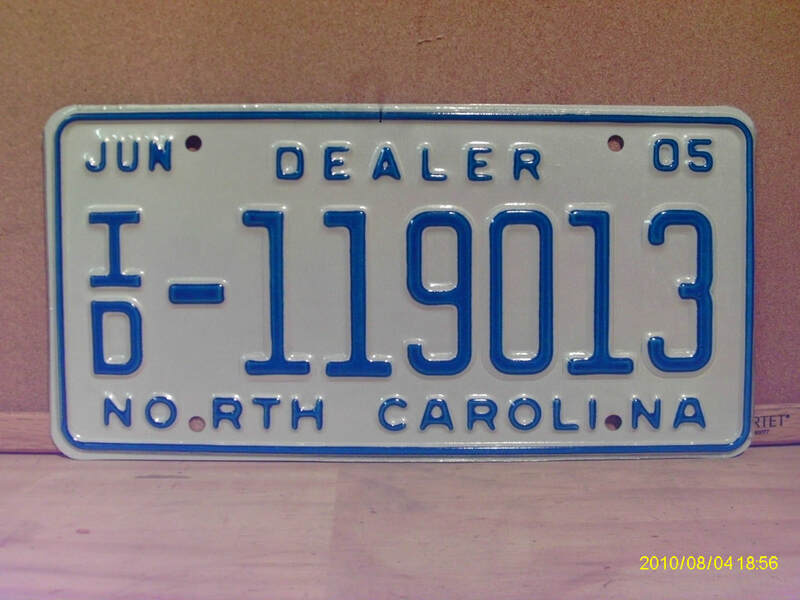 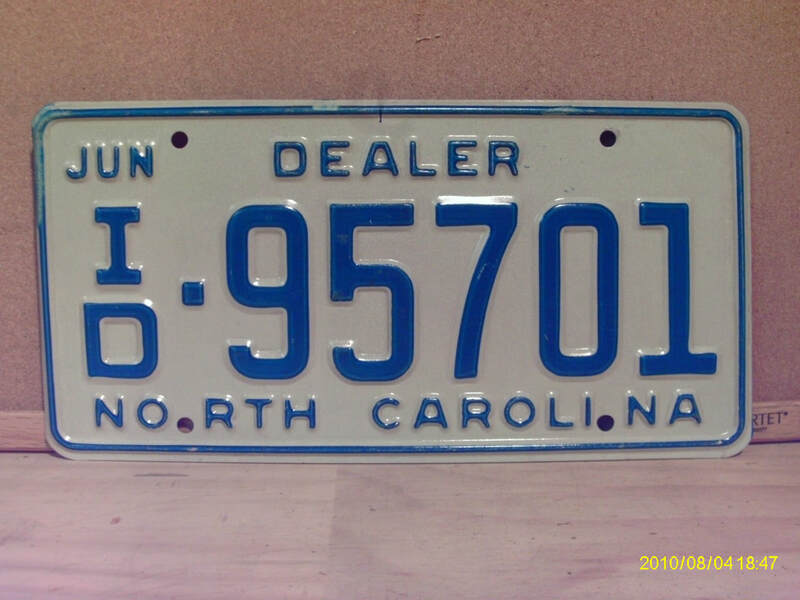 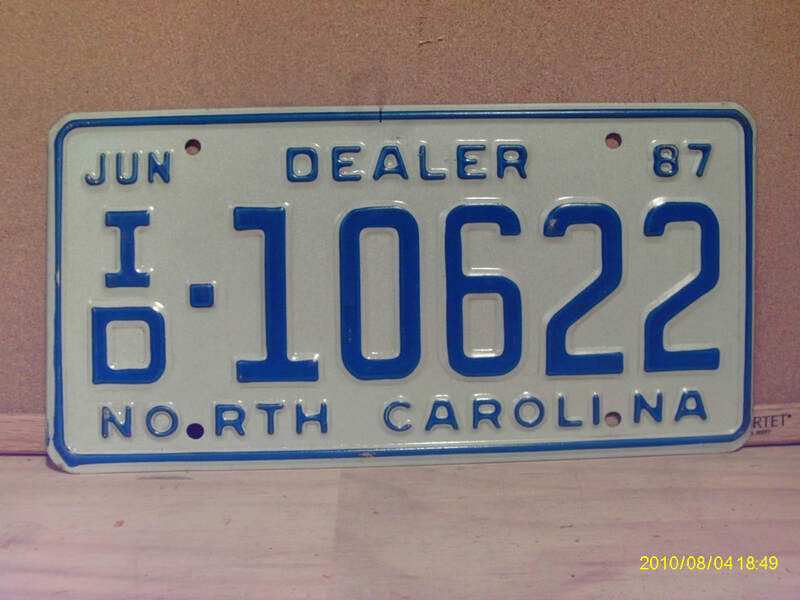 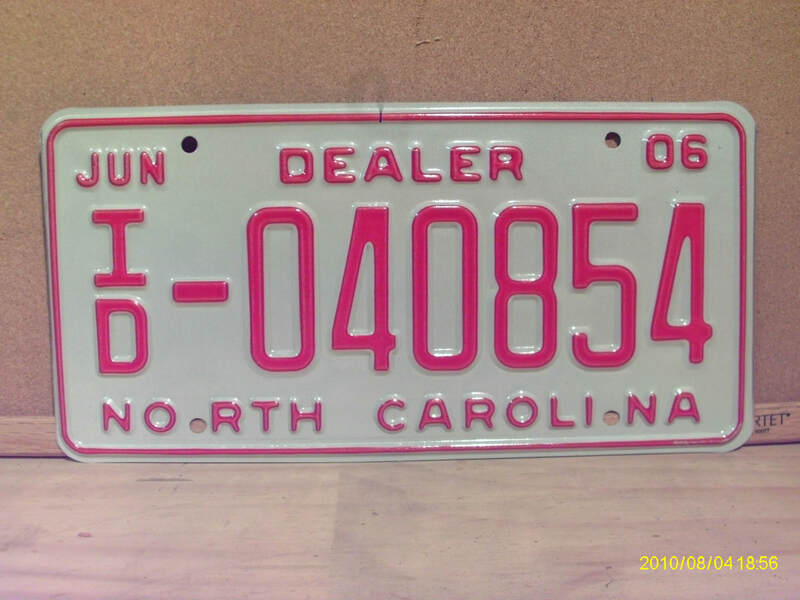 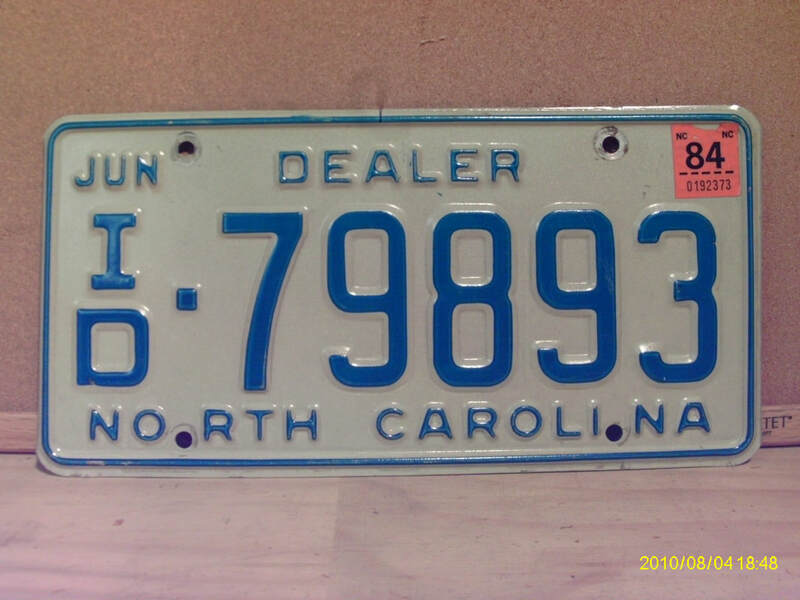 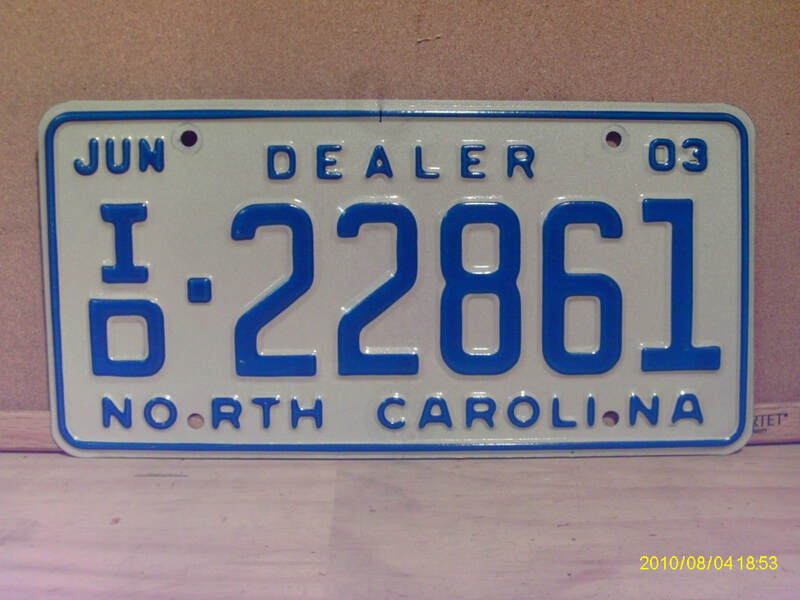 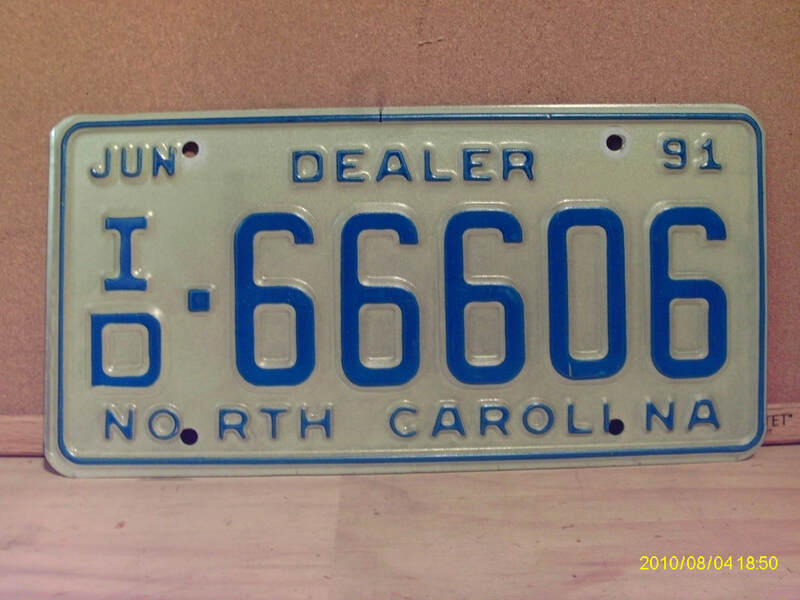 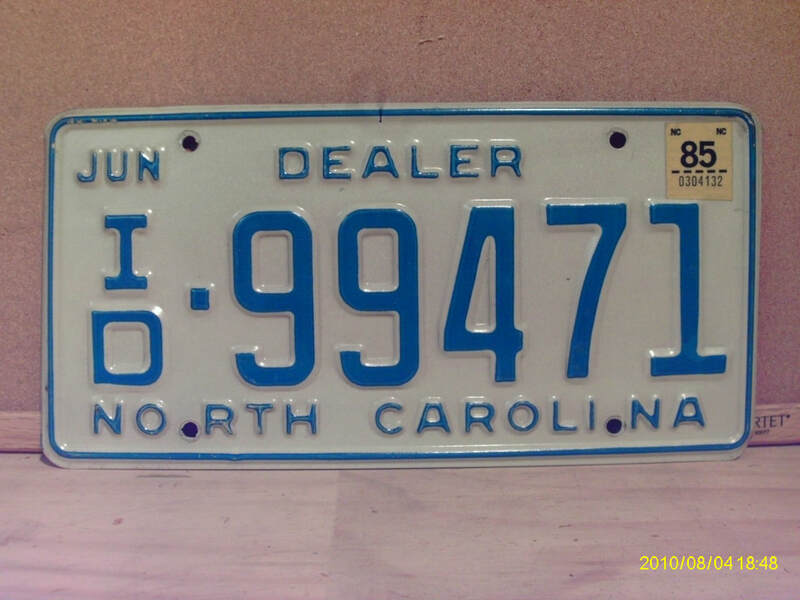 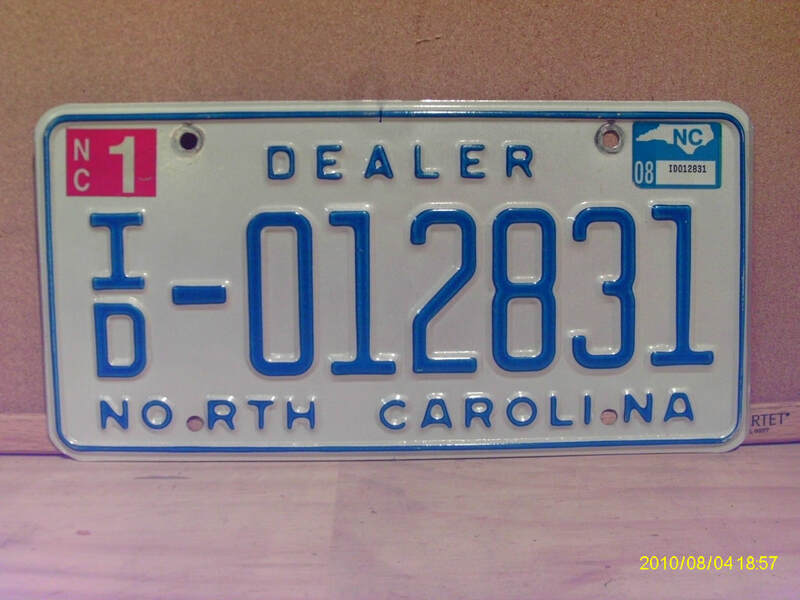 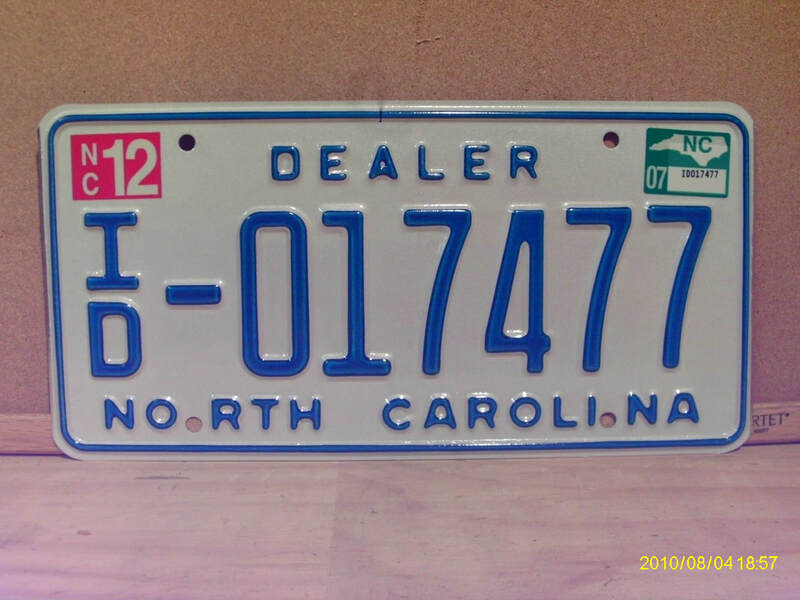 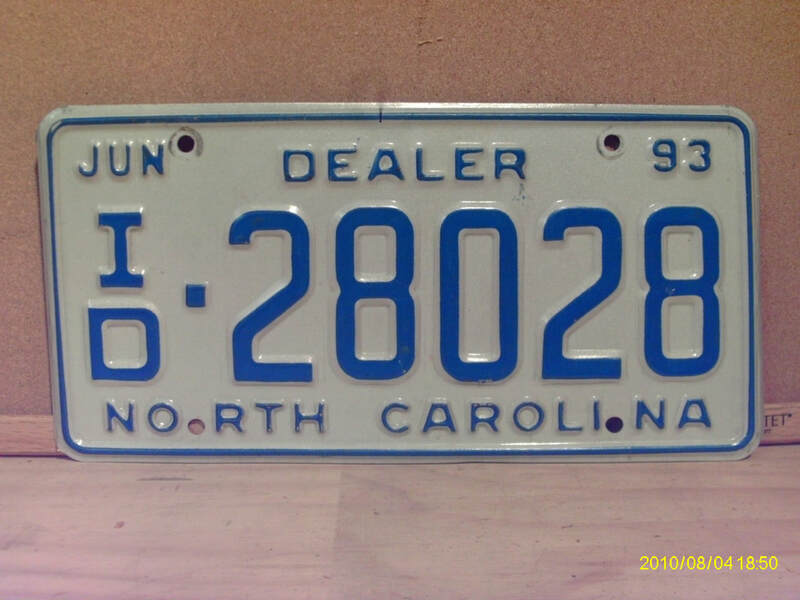 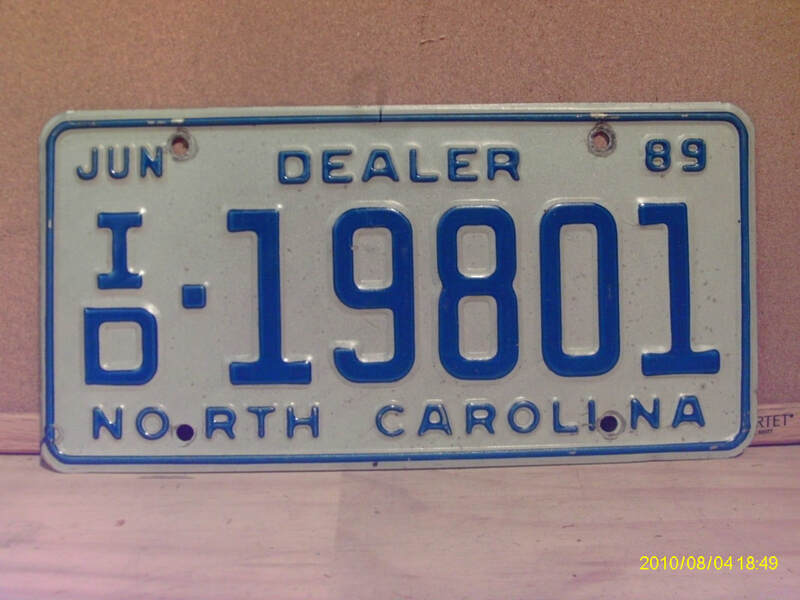 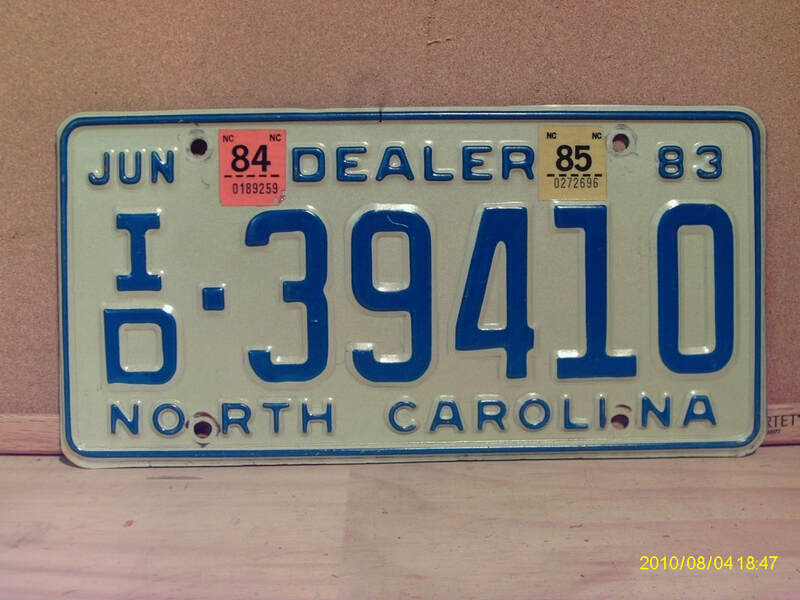 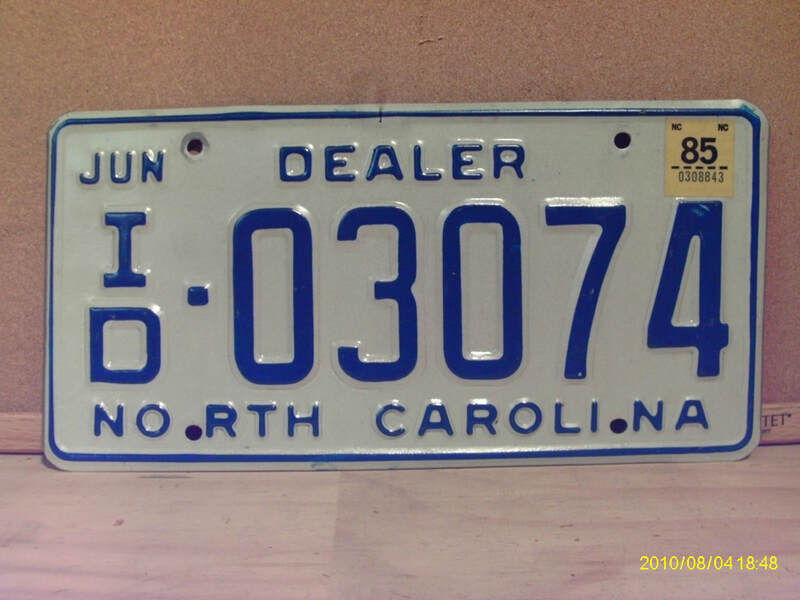 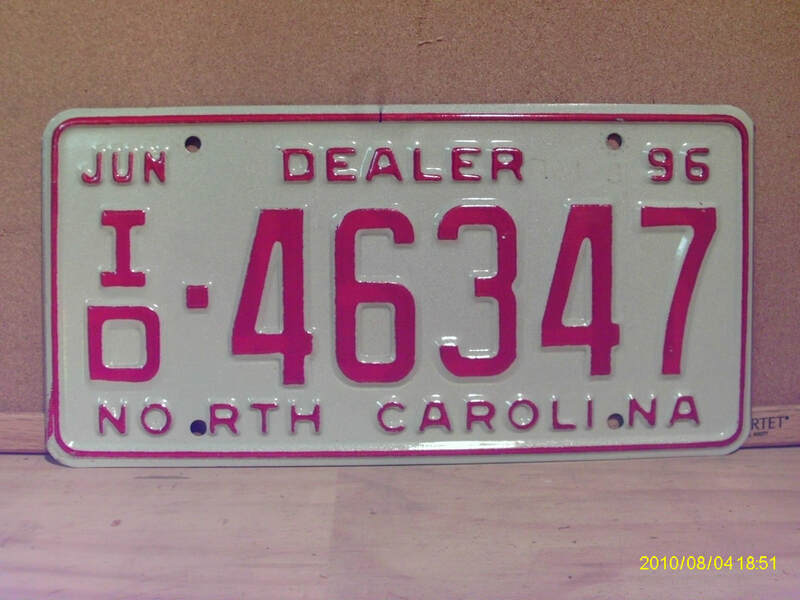 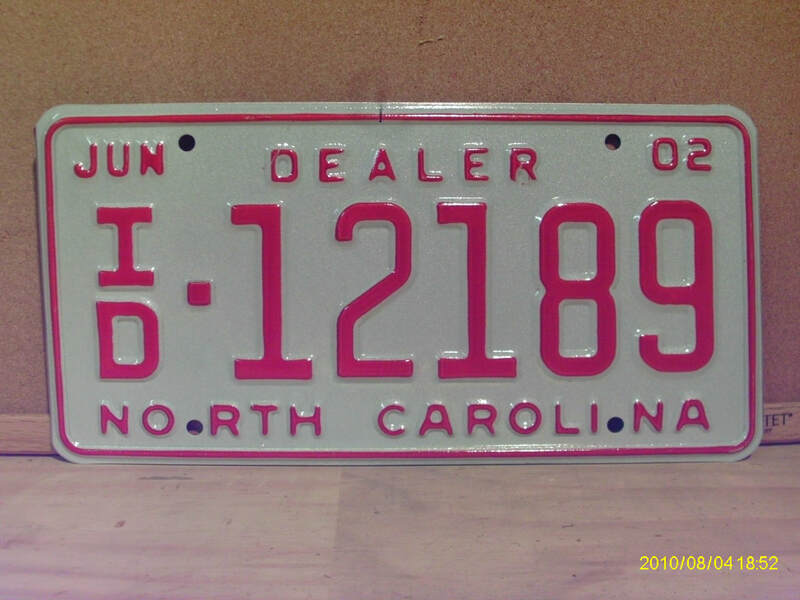 NOTE- Starting with expired 2007 dates, all non-passenger plates began staggered registration dependent on the owners last name or business name. 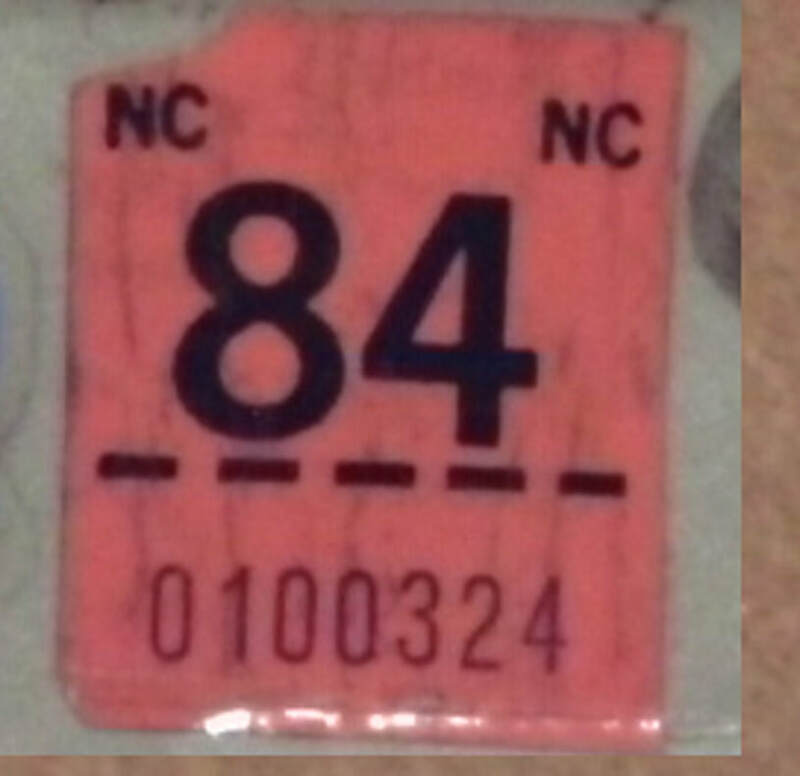 Validation stickers are the same as those used on regular passenger issues.